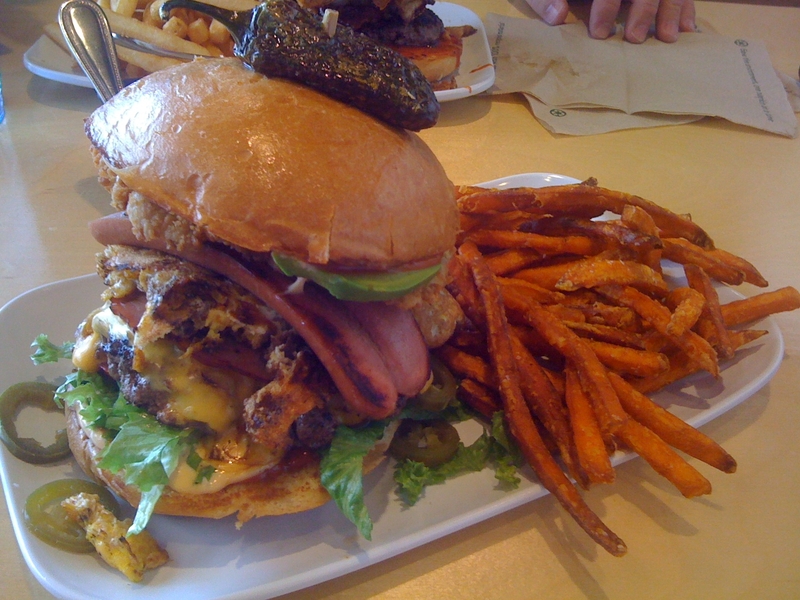 A new burger place opened up in the Springs and I went for lunch last Friday. After carefully surveying the menu, the Cubano was what my eyes and stomach told my brain they wanted. I relayed that information to the waitress and she soon delivered this item. And the fire roasted jalapeno on top, which I ate as well. And, as you can see, it came with sweet potato fries. I am still, to this day, recovering.